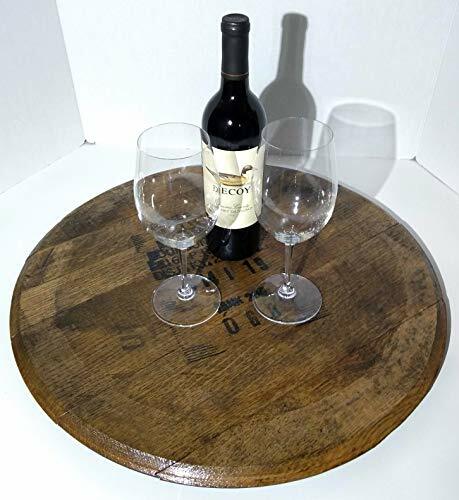 THE ORIGINAL BARREL TOP LAZY SUSAN - With over 1000 sold, we have perfected crafting these into wonderful pieces of art to be enjoyed for many years! 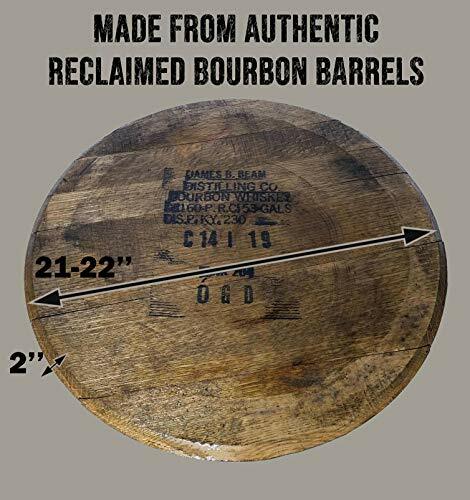 AUTHENTIC DISTILLERY STAMP - These barrel tops have Authentic Kentucky Bourbon Distillery stamps and have been aged for a minimum of 4 years! 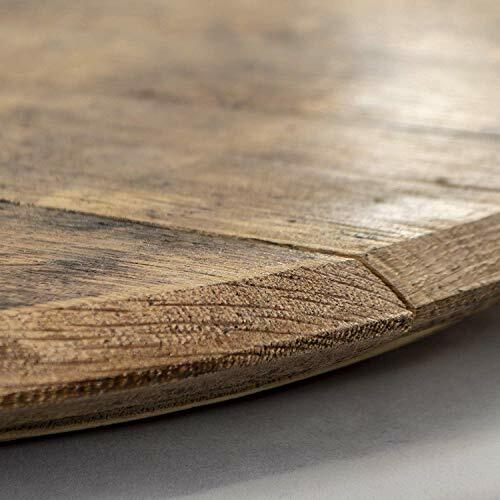 BOURBON BARREL HEAD LAZY SUSAN - Real 100% American White Oak barrel comes straight from the distillery! Measures 21"-22" in diameter. You will receive a barrel lid with a stamp similar to those pictured. 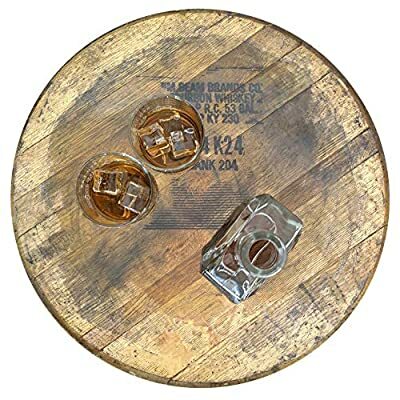 LARGE STAMP - All of our barrel tops have an Authentic stamp from a Kentucky Distillery. LAZY SUSAN - Our premium lazy susan turntables measure a full 21" across and are made with hardware containing ball bearings for an extra smooth spin, even on family feast days. The barrel tops are sealed with a hand rubbed, durable, food safe finish. 100% AUTHENTIC DISTILLERY USED - Each head will have a unique stamp on the front which designates its time/date/location of use. 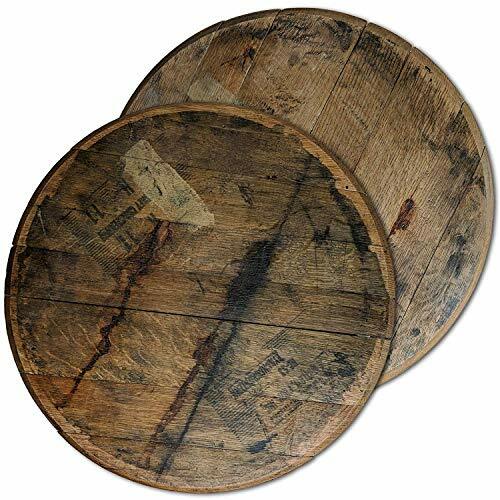 These lids are pulled straight from the barrel and have been aged with bourbon for a minimum of 4 years! RUSTIC DECOR - A fantastic rustic wall accent. A subtle conversation piece for your living or dining room. Meaningful and historical, never mass produced and 100% unique. 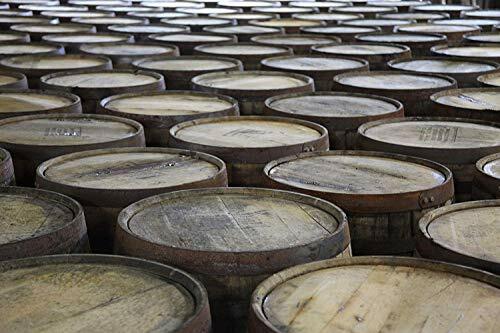 BUY WITH CONFIDENCE - We craft each barrel head carefully and stand behind our products - if you receive a defective or damaged item, we'll promptly replace it! MADE TO ORDER - These 100% unique pieces are made to order in Kentucky with a typical production time of 1 business day. All products are handmade in Kentucky from 100% Authentic Bourbon Whiskey barrel tops.